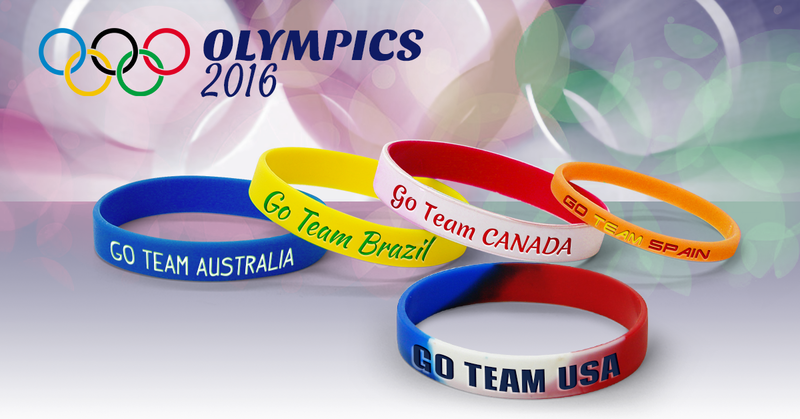 All wristbands from AmazingWristbands.com are made of long-lasting, comfortable, latex-free, and non-allergenic silicone. 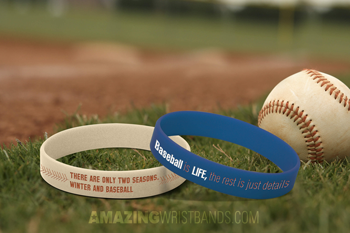 You can create customized baseball wristbands with your own message. Whether you are promoting your baseball team, a baseball tournament or simply want to show your passion for baseball, we can design a custom wristband for you. With the Major League baseball World Series in full swing, America’s attention turns back to baseball. If you are a diehard baseball fan or want a certain team to win the World Series, you can express your passion for baseball with a custom youth baseball wristband from us. An estimated 15 million fans will be watching the MLB World Series this month. All wristbands from AmazingWristbands.com are made of long-lasting, comfortable, latex-free, and non-allergenic silicone. 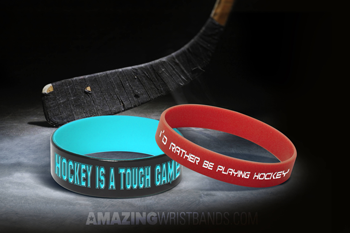 You can create customized youth hockey wristbands with your own message. Whether you are promoting your hockey association, your team, a hockey tournament or simply want to show your passion for hockey, we can design a custom wristband for you. The National Hockey League (NHL) season began this month. With cold weather approaching, hockey fans and players are excited for a return to the ice for this great sport. With 30 NHL teams and two more expected in Quebec and Las Vegas, the sport has never been more popular. The NHL broke attendance records last year with 21.4 million tickets sold.